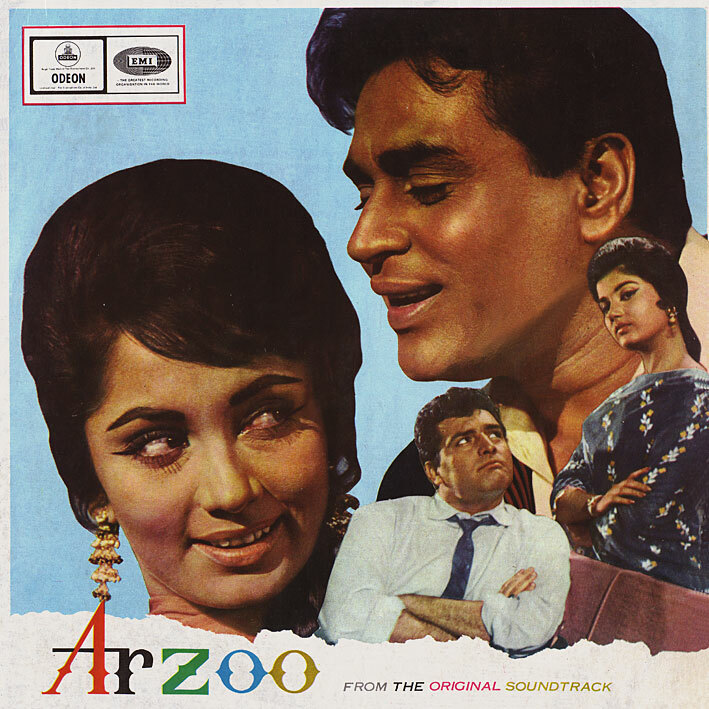 A nice effort from Shankar Jaikishan, 'Arzoo' has several tracks to commend it. 'Bedardi Balma Tujh Ko' is a beautiful Lata Mangeshkar number, very atmospheric, 'Jab Ishq Kahin Ho Jata Hai' has some cool rock 'n' roll/Hindi mash-ups in the second half (and is good in the first as well), and 'Ai Phoolon Ki Rani' and 'Aji Ruth Kar Ab Kahan Jaiyega' (Lata's version preferably) are both lovely, traditional but good songs. The film's Wikipedia entry has this down as Shankar Jaikishan's masterpiece - personally I prefer it when they rock out a bit more (eg. 'Tumse Achha Kaun Hai' and 'Gumnaam', which I'll get to at a later date) but I can see where that's coming from. Definitely worthwhile. Hope you're settled into your new home. Many thanks for the music.